Once again, we open our cellar doors on the 28th and 29th of April to present the new wine vintage 2018. You also may taste the Reserve wines of 2017 and the Weißburgunder NEXT GENERATION, which is still young, but already honored with a GOLD medal. 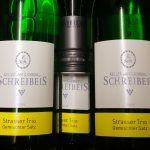 Now available: “Strasser Trio” 2018 Vintage. 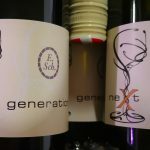 As of yet, you can order the so-called “Strasser Trio” 2018 Vintage. A fruity nose, somewhat exotic and mild on the palate, a worthy representative of our successful 2018 vintage. 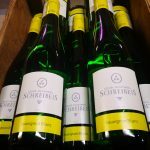 Our customers have already been waiting for this: The “Weissburgunder Next Generation 2017” will soon be bottled! 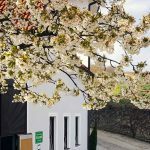 This Pinot Blanc is a strong wine, matured for 12 months in small wooden barrels, dense, full-bodied, creamy, reminiscent of vanilla, nut and roasted aromas. Available from 20 December 2018! We have bottled our first wines of 2018! We bottled the first representatives of the vintage 2018: “Sauvignon blanc”, a really typical Sauvignon Blanc, fresh & fruity, reminiscent of paprika, gooseberry, a so-called “young harvest”. The “Sauvignon blanc” with its new, fresh label is now available! We bottled the first representatives of the vintage 2018: “Grüner Veltliner Blitz & Donner”, a light Grüner Veltliner, fresh & fruity with a pleasant acidity and rounded off with some residual sweetness. 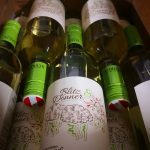 The “Grüner Veltliner Blitz & Donner” is now available!